Well this is just awful. Little Mix singer Leigh-Anne Pinnock has allegedly been physically assaulted while eating in a restaurant with friends. According to The Sun, Leigh-Anne was slapped in the face by a fellow diner during a meal at the VQ restaurant in London on Saturday night (Dec 17). Apparently they had been on a night out at a club in Mayfair called Drama (that's some cruel irony right there). The altercation occurred after Leigh-Anne defended her friend from a drunk man. It sounds like the person may be known to Leigh-Anne. An eye witness told The Sun that the altercation broke out over his girlfriend, who was not present. “He kept saying, ‘if my girlfriend was here, you would both feel really intimidated’,” the eye witness said. 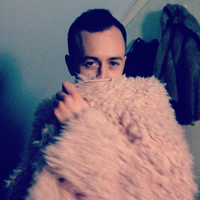 “Leigh-Anne’s friend wasn’t going to let it go. She kept saying ‘no I wouldn’t, no I wouldn’t’. And Leigh-Anne started going, ‘Maybe I would, maybe I would’. “And then he said something like ‘shut up’ to Leigh-Anne’s friend. Leigh-Anne turned around and said, ‘don’t say that to her’ or ‘don’t be rude.’ And he walked around the table and leant into her and gave her a clean slap on the face. He was really aggressive. He seemed like he had been drinking. At first, Leigh-Anne was completely shocked and laughed it off but then she completely broke down and cried. The eyewitness added, “Leigh-Anne kept saying she wanted to go home." The man took off before the police arrived. That sounds horrendous. We hope whoever did this gets caught and Leigh-Anne is feeling better after this traumatic incident. 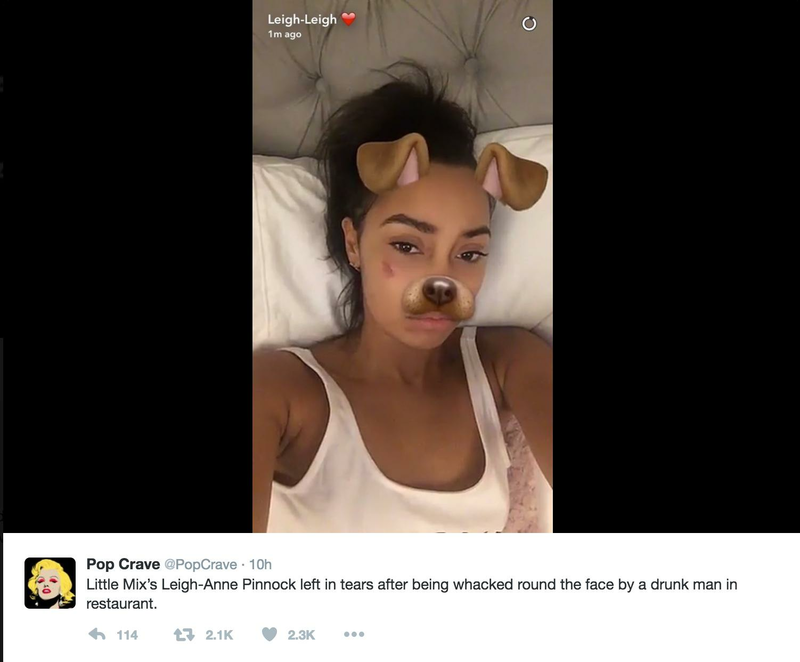 UPDATE: The next day Leigh-Anne posted the above snap saying the bruise was from "falling out of a car [sic] out of my face". She has not directly responded to The Sun's story.